Designed for use in confined areas. Ideal for use in restaurants, highrise office buildings, airplanes, boats, narrow hallways and stairwells. 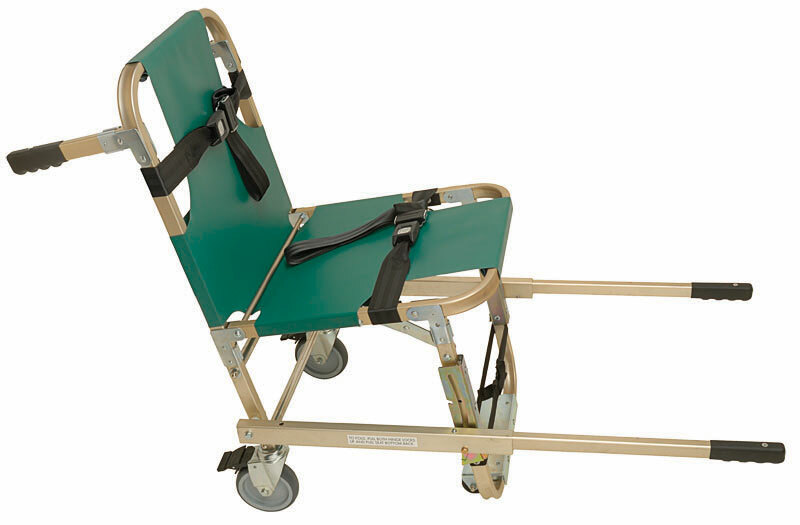 2” standard automotive-style patient restraint straps included with each chair. Green vinyl covers are made of 18 oz. material and are fungus and rot resistant for long-lasting durability and easy cleanup. A storage/carrying case is also available (JSA-800-B) separately. WEIGHT: 25 LBS. ; LOAD CAPACITY: 800 LBS.